I love listening to DDPRadio on Wednesday nights. It’s always informative, refreshing, and motivational. As I listened last week and again tonight, I think it really began to hit me why this whole thing has made such an impact on me. 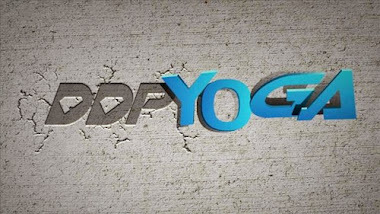 By this whole thing, I mean the “DDPYOGA Lifestyle Change”! I’ve been a social worker for over a decade. I’ve been a birth mother, stepmother, “foster mother”, and now an adoptive mother. The roles of social worker and mother are wholly about giving to others; helping them grow; instilling the desire to improve one’s life; and teaching others that anything they can dream is possible with the right amount of inspiration and perspiration. More importantly probably than any of that though, and I really pull this from my years as a juvenile probation officer and motherhood: reminding people they are human and that we are all fallible. We will fall and we will make mistakes. That’s a given in life. The trick is teaching yourself how to not hold it against yourself, but rather to just learn from it and pick up and go on. That’s always been the tricky part for me. When I screw up, I have a tendency to really let that screw up linger in my mind, and drag me down. I’ve been trying more and more since I began this in January to do that less and less. I work a full-time job. I am a wife and a mother to five children. I am also a patient diagnosed with a very active autoimmune disorder. 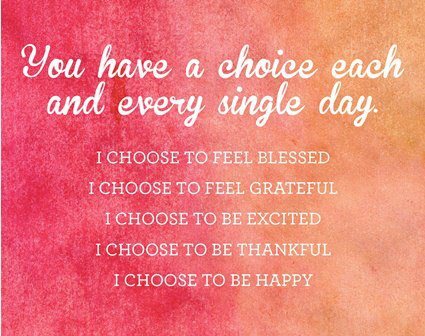 While I chose three of those four roles in my life, I certainly didn’t choose the last. The first three roles: social worker, wife and mother can be stressful. However, those roles bring me so much joy on so many levels, it all has a tendency to work itself out. However, I didn’t choose to have an auto-immune disorder. I didn’t decide one day that being really sick, in pain and tired all of the time would be an awesome way to live life. It’s not as though I chose to do drugs or become an alcoholic. I was just unfortunate enough to be born with a genetic pre-disposition to this disorder and a little over a decade ago, it decided to rear it’s ugly head. So, there it is. The way I see it is that I have two choices. The first is to wallow in self-pity, be a Debbie Downer, and stay generally miserable. The second choice is to take the bull by the horns and lead my life where I want it to go instead. I think I’m choosing the latter and I feel there’s something important along the way stemming from all of this. When I think about living my life at 90% as Dallas would say, I realize it’s definitely my choice to react in a positive way to the things that have happened to me. I realize I can let one of the four roles in my life define my every moment or I can choose to have the other three roles I love define my life. It’s all about life being 10% what happens to you and 90% how you react. So, I choose the latter, and I’m going to take as many people with me as I can while I’m on the way!